TFS-51400265 steel zinc plated thermactor plug with 5/8-11 thread fits Ford 5.0L cylinder heads with air pump port. TFS-51411801 Alum Valve Covers black powder coated fits Small Block Ford, EFI style low profile 3" tall. 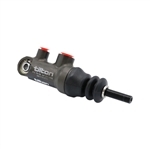 The rear spherical bearing mount and one-piece piston/pushrod eliminate side thrust into the master cylinder bore, providing consistent and repeatable braking. TRF-51511002 Intake Manifold for ford 5.0L with operation range of 1,500 to 6,500 rpm. TRF-51400004 TW Street Heads with 170cc intake runner volume and 66cc exhaust runner volume, 2.02 intake valve and 1.600 exhaust.